A great app isn’t just one that makes a company money. It’s also one that makes a company more efficient. The NGN app does just that and is designed for use by engineers out in the field. The ‘Structural Subline App’ allows engineers to complete installation reports and submit them instantly. This is all handled via an API to a bespoke database and backend system built by Gooii. 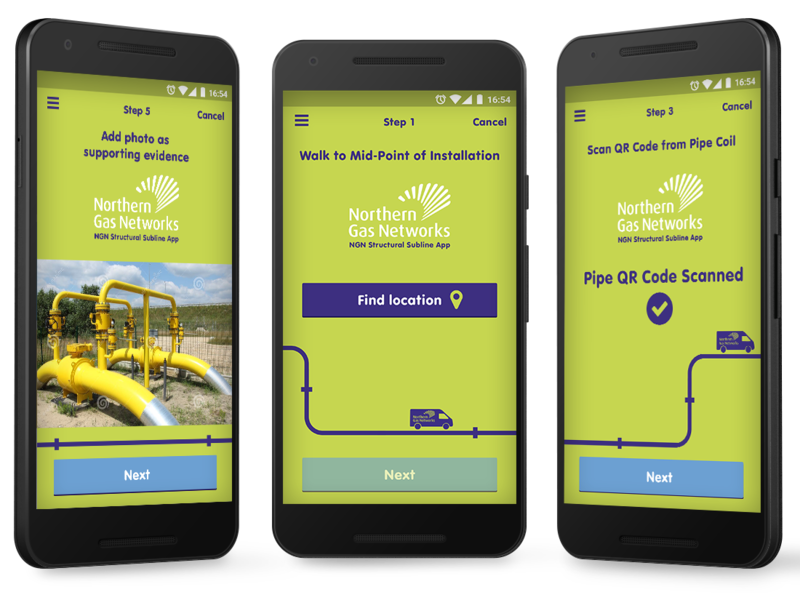 The ‘Structural Subline App’ was built for Northern Gas Networks and Radius Systems, using React Native, a cross-platform system developed by Facebook. Furthermore, this enables us to code native iOS and Android apps using one central code base. Key features also include: A QR and barcode scanner; The ability to take in-app photos or upload from the camera roll; Location services; An in-app database ready for submission to the server; Offline mode together with secure online content management system. The NGN app also features an intelligent login system which associates the engineer with their area manager based on their login credentials. If you would like to discuss an app to make your business more efficient, please get in touch.